UFCW members are working to ensure pharmacists have the support needed to do their most important job: protecting consumers. Now your voice is needed! 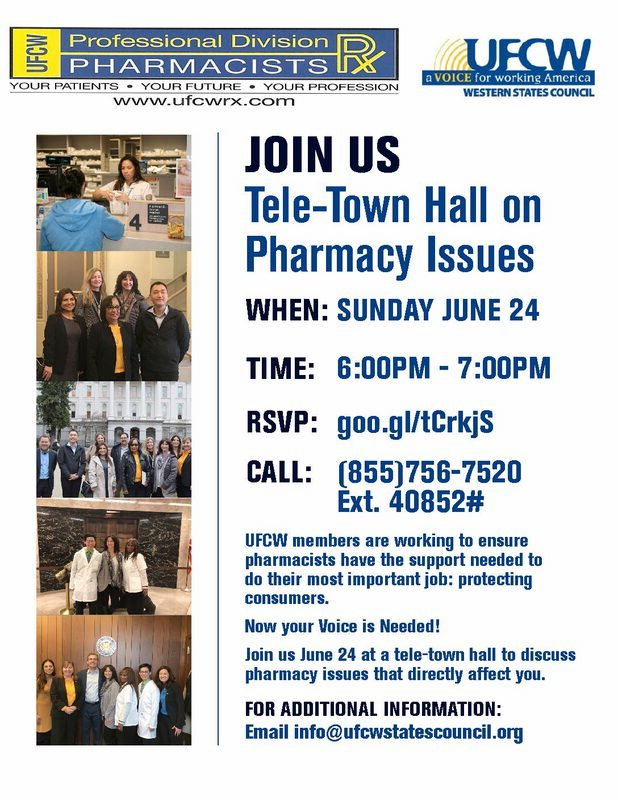 Join us June 24 at a tele-town hall to discuss pharmacy issues that directly affect you.